Visit St. Lucia — Caribbean Affairs Inc.
Saint Lucia is a sovereign island country in the eastern Caribbean Sea on the boundary with the Atlantic Ocean. Part of the Lesser Antilles, it is located north/northeast of the island of Saint Vincent, northwest of Barbados and south of Martinique. It covers a land area of 617 km2 (238.23 sq mi) and reported a population of 165,595 in the 2010 census. Its capital is Castries. Representative government came about in 1840 (with universal suffrage from 1953). From 1958 to 1962, the island was a member of the Federation of the West Indies. On 22 February 1979, Saint Lucia became an independent state of the Commonwealth of Nations associated with the United Kingdom. Saint Lucia is a mixed jurisdiction, meaning that it has a legal system based in part on both the civil law and English common law. The Civil Code of St. Lucia of 1867 was based on the Quebec Civil Code of 1866, as supplemented by English common law-style legislation. It is also a member of La Francophonie. 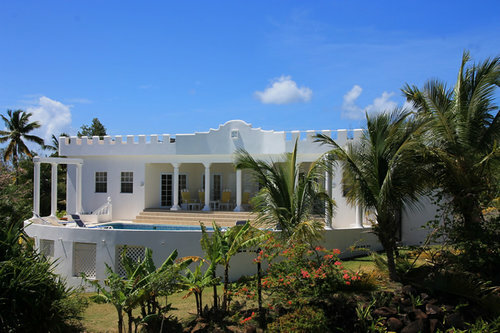 These apartments are located in the north of St.Lucia, just ten minutes from Rodney Bay, Castries and our small airport. The apartments are gated and self contained, offering house keeping services six days a week. There are one and two bedroom apartments and if needed four bedrooms are available. The total of six apartments. 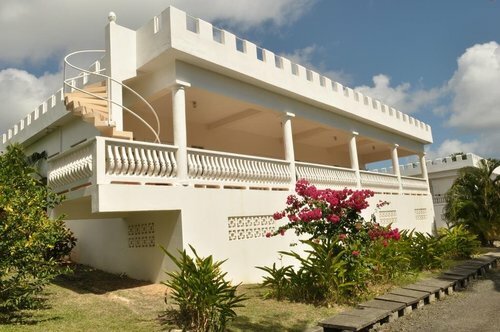 These 14 Villa resort located in the south of St.Lucia overlooking Savannes Bay and Honey Moon Bay with each villa having a spectacular view of the sea. There are two, three and four bedroom villas and the larger villas have their own private swimming pools.